Epitomising grace and luxurious beauty, our veils are meticulously handmade in the UK to guarantee a powerful bridal silhouette. We source the finest quality laces and gems to ensure the veils we offer are at the highest level of couture fashion. 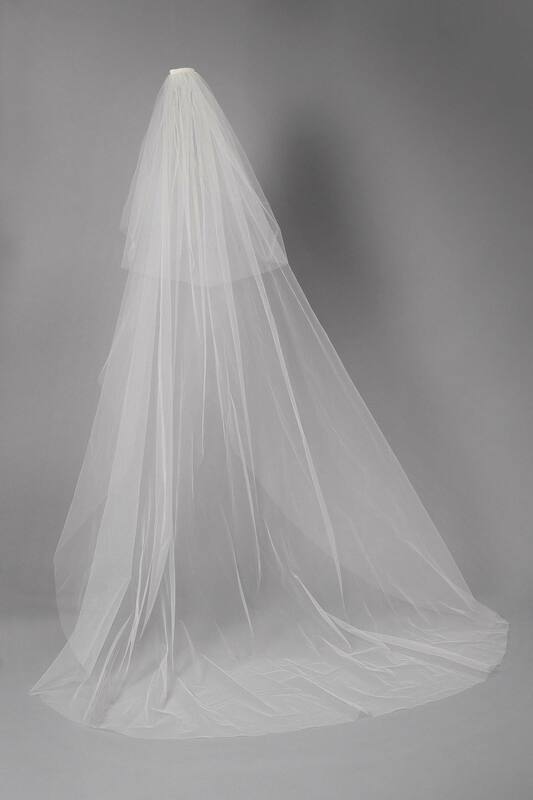 Majestically constructed, our delicate romantic veils come in single and two tiers. The lavish artistry is evident via the detailing in each piece making our designer bridal veils truly unique. 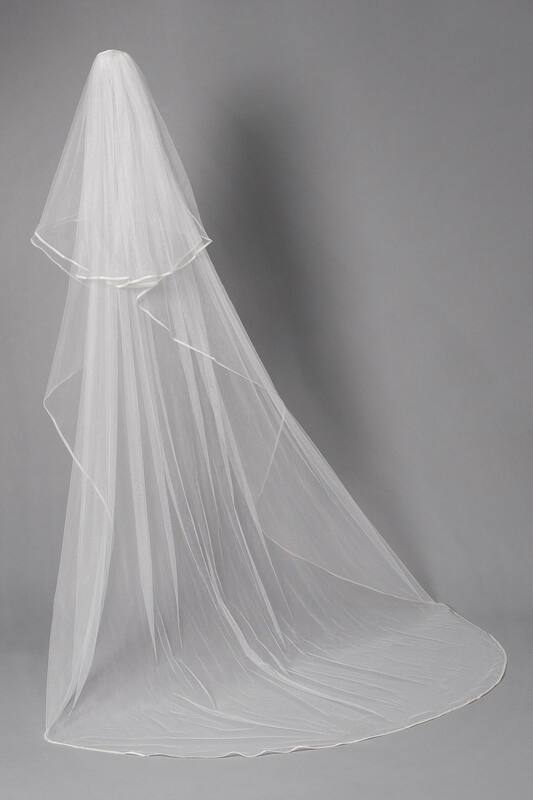 Celebrating exquisite craftsmanship and lavished layers of meticulously made mesh, mesmerize in our exquisite CALYPSO veil. Gracefulness is portrayed through the luxurious lace detailed edging and delicate foliage perimeter. Epitomizing pure romance and desire, the CONSTANCE wedding veil will enhance any bridal silhouette with grace and eternal charm. Appliqué lace detailing accents the scalloped edging, which combined with the lustrous layers, offers an unrivalled luxurious aesthetic. 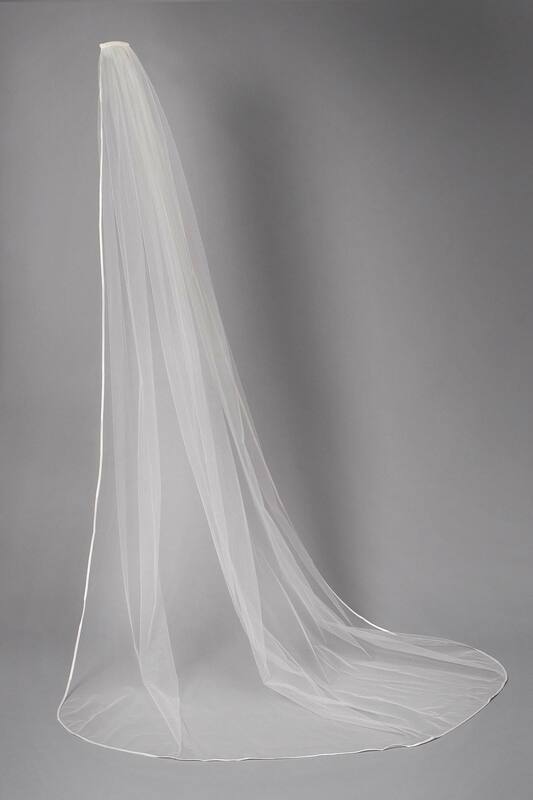 Celebrating an abundance of cascading layers, this exquisite two tier organza edge wedding veil offers an elegant solution to your wedding day aesthetic. Blending romantic delicacy with ethereal organza details, DELPHINIUM provides a flawless finish to your designer wedding gown. 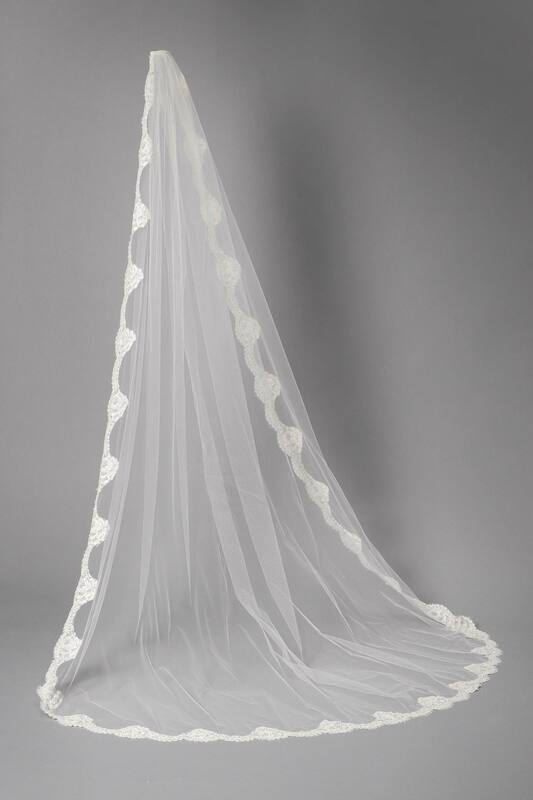 Delicate lace edging offers a deeply romantic flair to this whimsical veil. Lavishly designed with cascading mesh and adorned with ethereal Chantilly lace edging. Translucent beads are sparingly affixed along the perimeter to catch the light and dazzle onlookers. 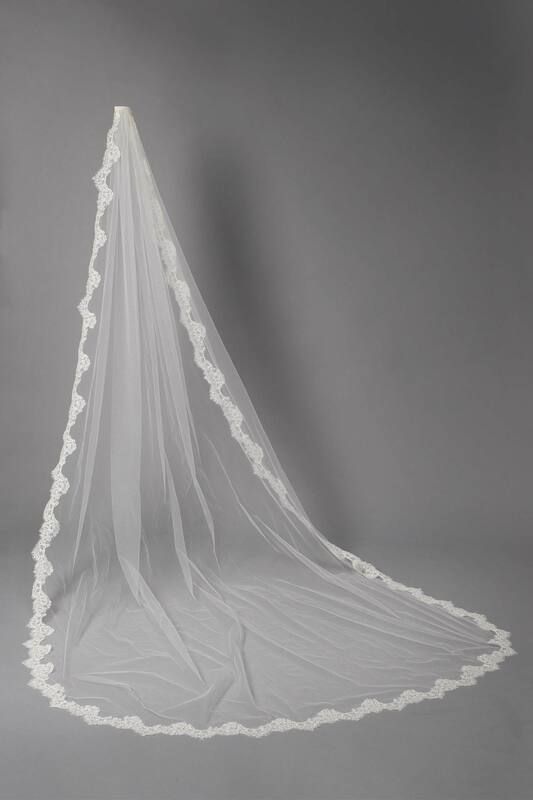 Simplistic styling combines with minimal luxury for this traditional, signature GRAND VEIL creation with plain edge. 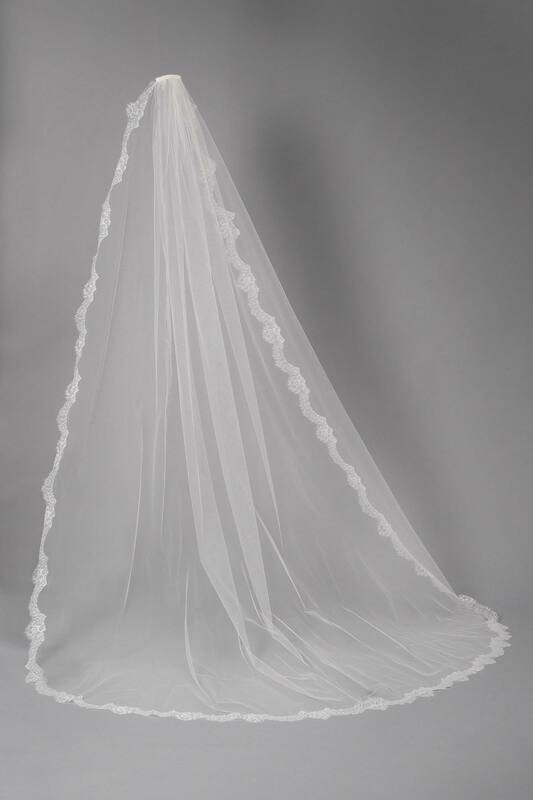 Exquisitely crafted into a two tier wedding veil, with a plain cut edge. 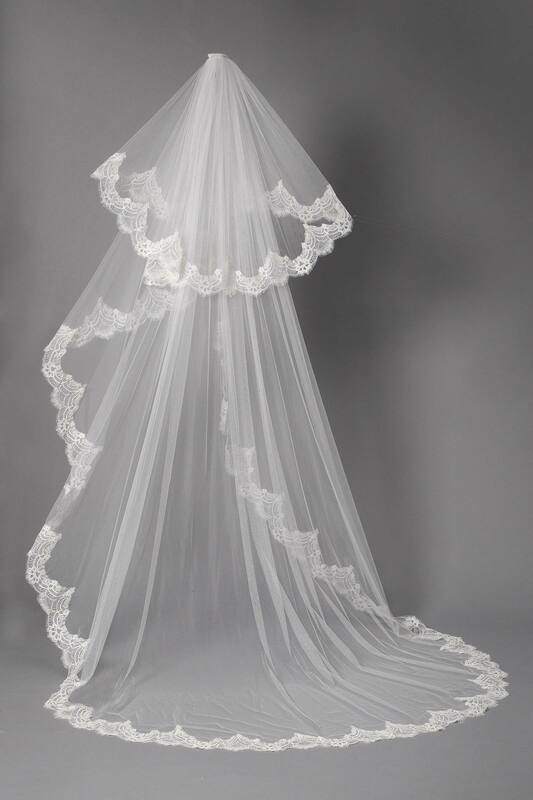 Elegance and grace is personified in this meticulously handmade veil to acculturate your designer wedding gown. 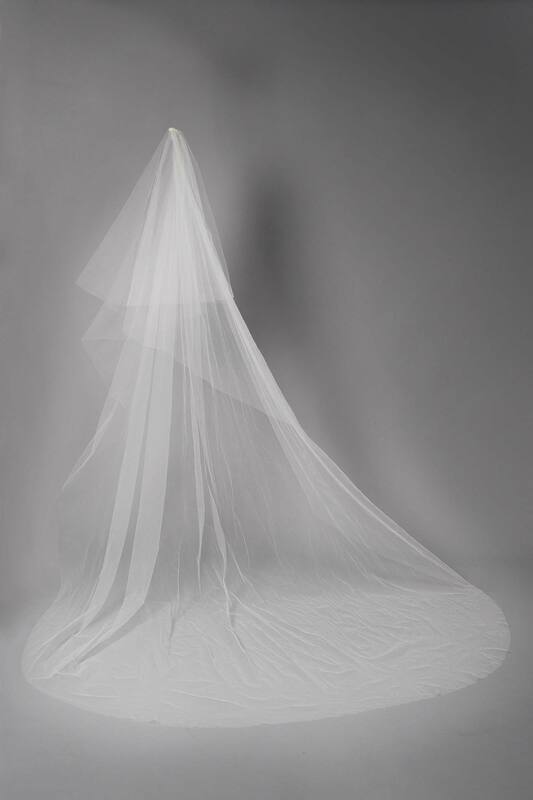 Exquisite artistry surrounds the contemporary ethos of this luxurious wedding veil. Opulent ethereal lace elements adorn the edging, through corded lace detailing, embedded with translucent eye-catching beading. 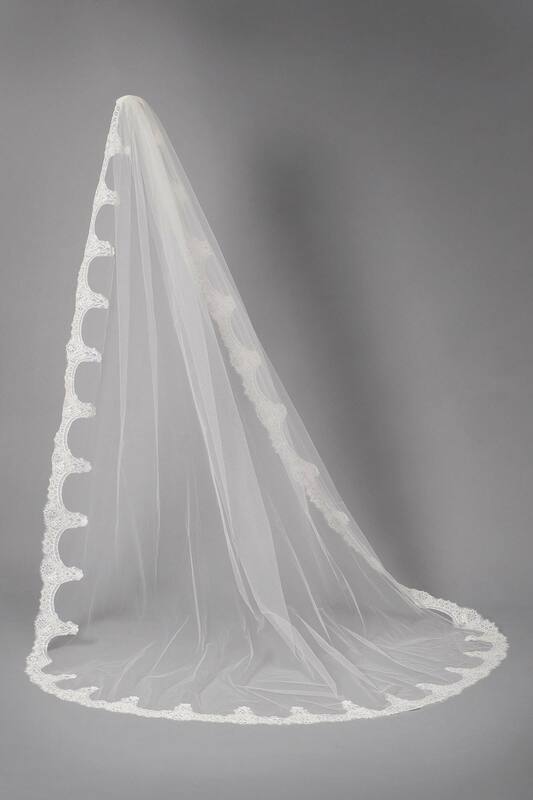 Delectable detailing enhances the MADISSON veil. Lavishly hand constructed into a single tier, complete with whimsical charm, graceful cascading mesh and opulently accented with majestic appliqué lace edging. 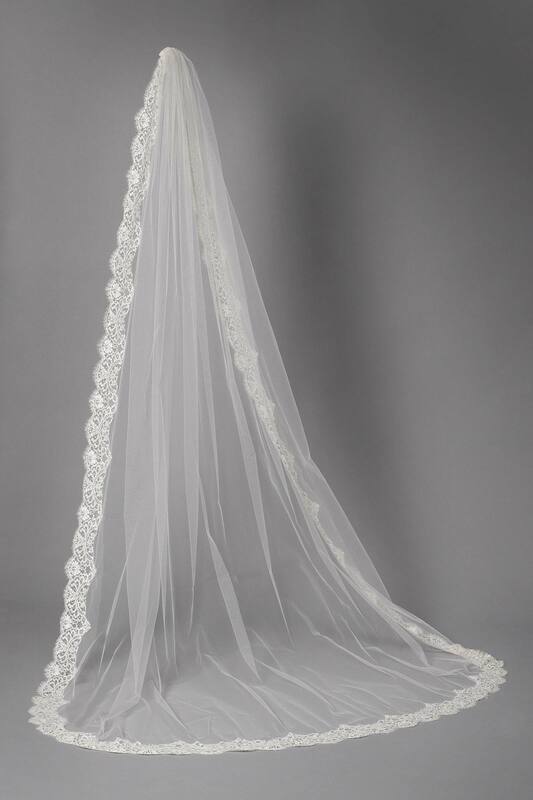 Ethereal edging provides the focal point of this luxurious lace wedding veil. 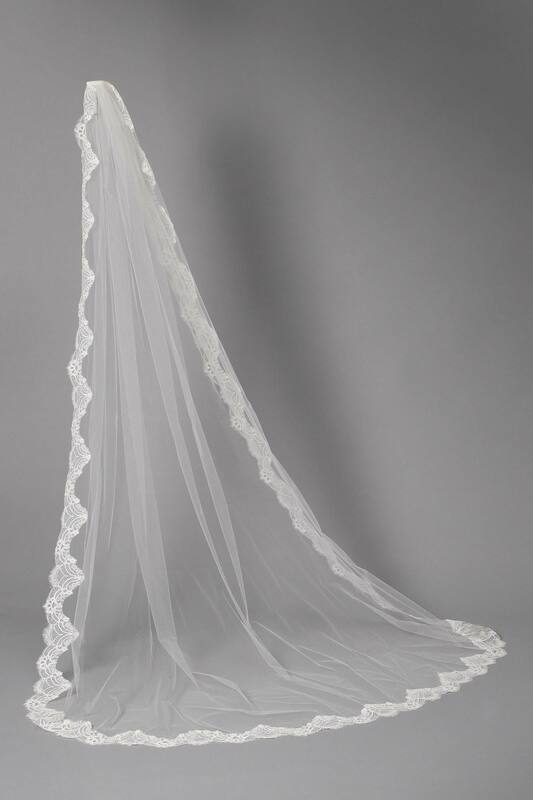 NADIA is magnificently hand constructed into a graceful, single tier veil with scalloped lace accents around the pretty, yet powerful perimeter. 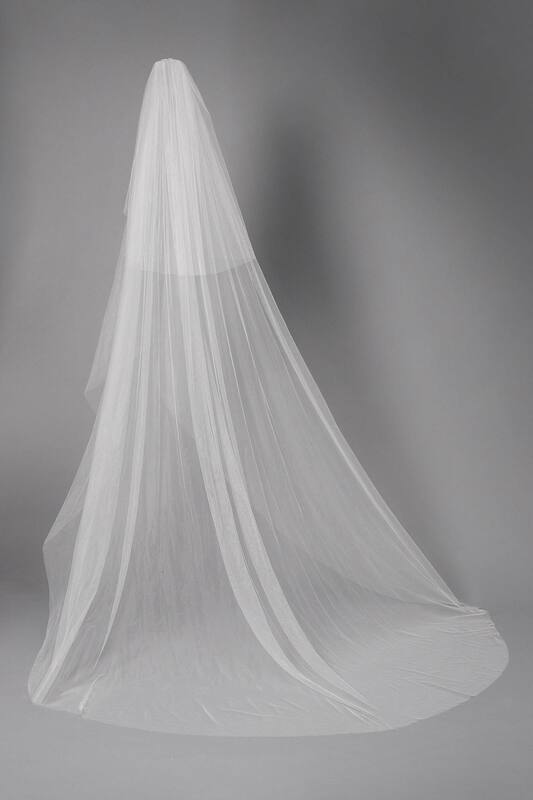 Traditional artistry is reinforced by a modern, minimal silhouette in the clean lines and romantic cascading mesh belonging to our Organza trim wedding veil. Embodying glamour, luxurious craftsmanship and an ethereal organza trim, which all combine to conclude its alluring single tier aesthetic. 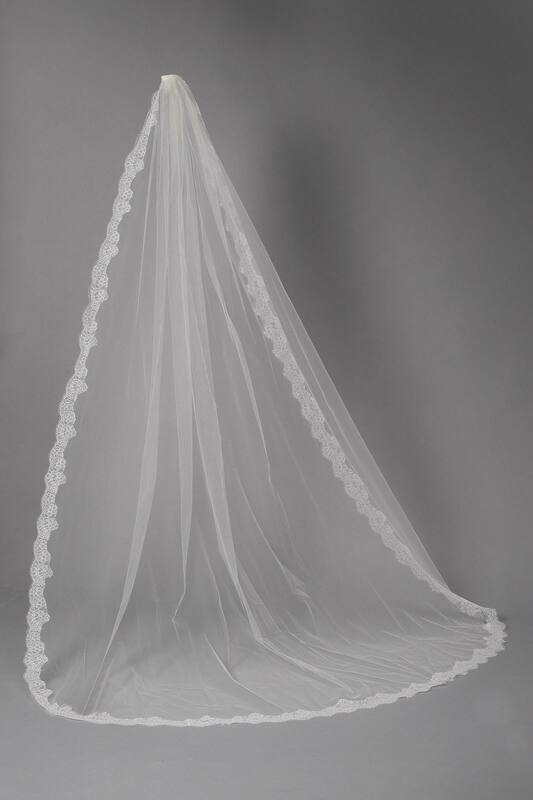 Simplistic characteristics enhance the majestic appeal of the PEONY veil. Synonymous with an angelic aesthetic, the premium cut and composition unite to flow gracefully with the motion of the bride. Exquisitely constructed into a two tier design with a plain, cut edge. 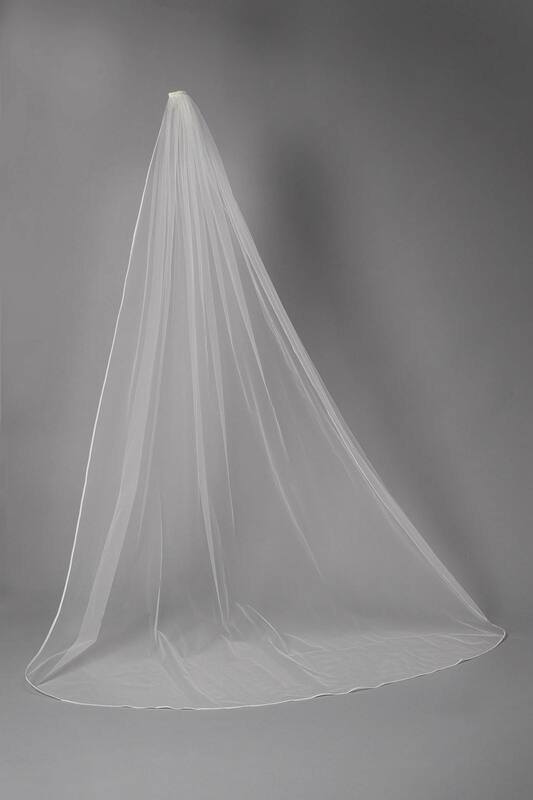 Cascading in a minimal, modern manor, the SASHA wedding veil secures the creation of a sublime bridal silhouette. Comprising a single tier with plain cut edges, the simplicity is eternally striking. Understated in design, yet powerful in projecting a romantic, eternally classic aesthetic, delicate mesh meets smooth satin edging. Comprising a single tier, soft premium satin boundary and an abundance of decadent allure. Regally inspired, the VICTORIA wedding veil combines a traditional take on the bridal silhouette, united with lavish artistry and delicate details. Luxurious lace surrounds the perimeter ensuring the ethereal edging is always noticed. Emulating a romantic, refined gracefulness, the single tier design of this WILD ORCHARD wedding veil offers the perfect balance of glamour and simplicity. Delicate beading exquisitely enhances the lace edging. 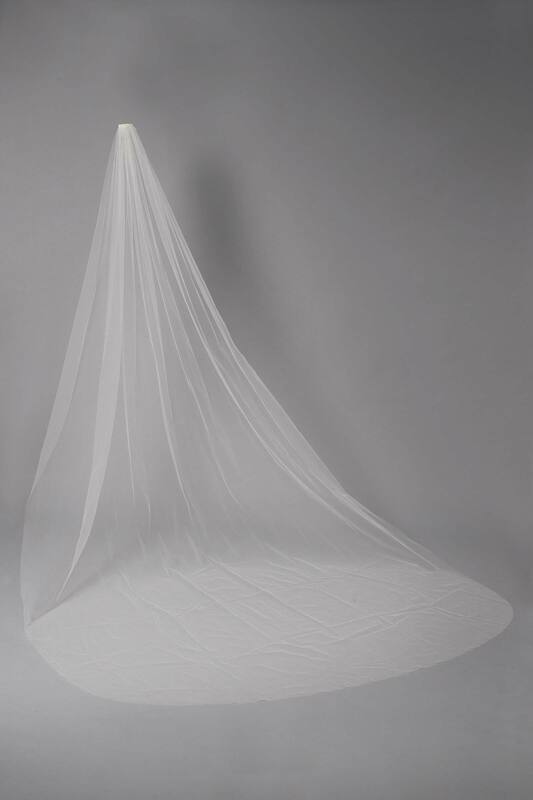 The two cascading tiers of this premium, plain cut edge veil dance rhythmically and magnificently to elevate the bridal silhouette into a contemporary, celestial aesthetic. Amalgamating romance with luxurious minimalism, lavished artistry effortlessly echos through.